MARTIN, Tenn. – The University of Tennessee at Martin Department of Music will bring the internationally touring musical group Seksion Maloya to campus Nov. 19 as the second performers in the Allison Nelson Guest Artist Series. Seksion Maloya will perform at 7:30 p.m. in the Fine Arts Building’s Blankenship Recital Hall. Tickets are $10 for adults, $5 for non-UT Martin students and free for UT Martin students with a valid student ID. Guests may purchase tickets online at utm.edu/musicevents or at the door before the performance. Seating is limited, so interested guests and students should reserve tickets prior to the concert. Seksion Maloya, based in Paris, France, performs maloya, a form of music that originated on a French island off the eastern coast of Madagascar called Reunion. 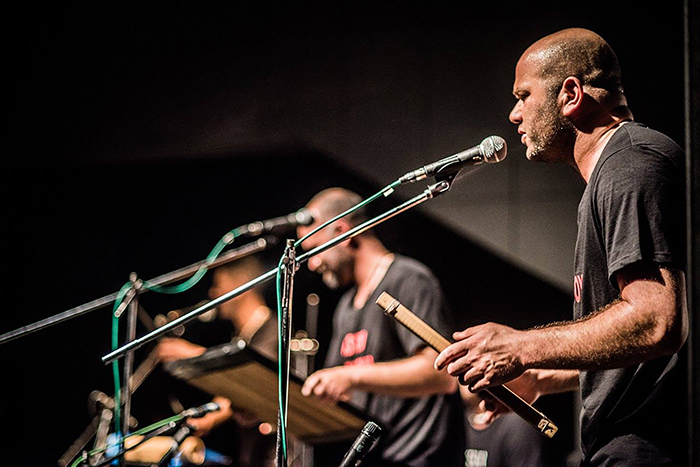 The performance will combine percussive instruments such as the rouler, kayanm and bobre with Reunionese creole singing. The UT Martin Department of History and Philosophy and the Department of English and Modern Foreign Languages are co-sponsoring this event. Seksion Maloya will also give a guest lecture on maloya music at 2 p.m. that afternoon. The lecture is free to the public and located in the Blankenship Recital Hall, as well. The Allison Nelson Guest Artist Series brings high-profile musical artists from around the globe to UT Martin’s campus. It was established this semester to honor Dr. Allison Nelson, UT Martin professor emeritus of music. Nelson, a native of Australia, has performed worldwide as a soloist and as a member of the Nelson and Neal piano duo with her late first husband Harry Neal, a native of Paris, Tennessee. Nelson served on the UT Martin faculty for 20 years and helped establish the Bachelor of Music in piano performance and found the UT Martin Piano Ensemble. PHOTO ID: Seksion Maloya is shown giving an international performance.